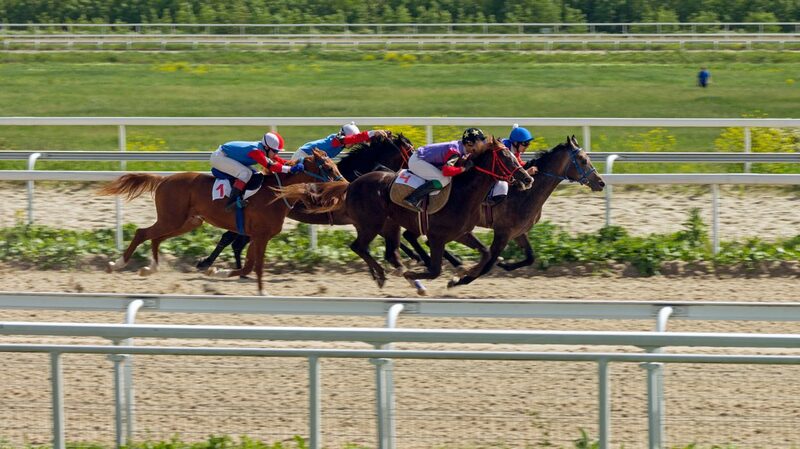 The Kentucky Derby takes place on the first Saturday of May. It’s the annual Run for the Roses, and—whether you pay any attention to horses the rest of the year or not—it’s the perfect reason to celebrate the arrival of warm weather with a Derby Day party. 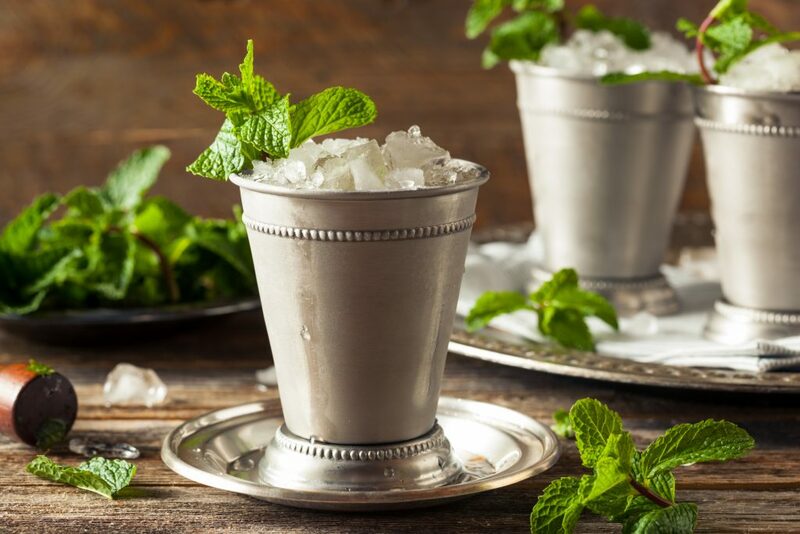 Derby Day is one of just a handful of holidays throughout the year with an explicit whiskey connection—it’s not Derby Day without a Mint Julep. 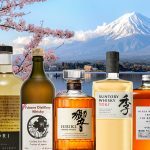 If you’re the big whiskey drinker in your group of friends, this is the perfect chance to introduce newcomers to whiskey in an accessible way. In a Mint Julep cup or large Old Fashioned glass, gently muddle 5-6 mint leaves with the sugar. Add ice almost to the top of the glass, then pour bourbon over the ice and stir vigorously until the mixture is chilled and the glass frosted. Mound more ice on top and garnish with a mint sprig. Pro tip: If you don’t have Mint Julep cups, try a Moscow Mule mug or large rocks glass. If you plan on making a lot of juleps, set up a station for yourself with all the ingredients readily at hand. 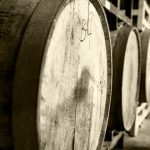 Not sure what bourbon to use? We’ve got a guide for that too, with lots of great options. If you want to be a little more adventurous, try out some riffs on the traditional Mint Julep. Here are six variations to try, including one that incorporates cold brew coffee and a refreshing Mint Julep Lemonade. Assuming the weather permits, you’ll have a better time if you celebrate Derby Day outdoors. Your back yard, front yard, patio, or (for city dwellers with safe access) roof are good options that keep you close to the television for the crucial moment. Take advantage of the outdoor setting by firing up the grill too. Barbecue or other Southern specialties are always a great option, but you can’t go wrong with hamburgers, sausages, corn, beans, and other picnic staples. 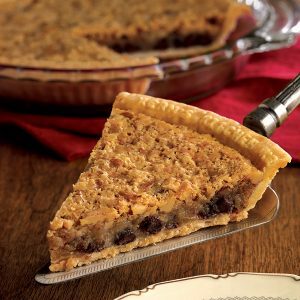 And no Derby Day party could be complete without Derby Pie, the traditional dessert created in 1954 at the Melrose Inn in Prospect, Kentucky. The recipe is a secret—we know it includes chocolate and walnuts—but some people have devised their own interpretations (a Google search will turn up plenty of recipes). You can buy the original online here. 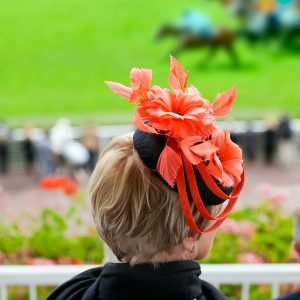 Whether you’re watching the Kentucky Derby at Churchill Downs, going out to a bar, or hosting your own celebration, wearing large and silly hats is a critical and historic part of the Derby Day tradition. Men’s headwear at the Derby tends to be more traditional—think fedoras and Panama hats (though, oddly enough, rarely derbys) in summer colors. Women’s hats offer a much broader range, and are famous for veering into the absurd. But no one should feel left out: wearing silly hats for the Derby has become an egalitarian tradition, so seek out the unusual headwear that your heart desires and wear it proudly. High-rollers at Churchill Downs often commission bespoke headwear just for the event. Christine A. Moore Millinery specializes in custom Derby hats for women and men. If you’re in Louisville for the race, check out local purveyors like Formé Millinery. Bear in mind that these elaborate creations can be quite expensive. For those without the dough to splash out on a custom hat, check with your local milliner (you do have one, don’t you? ), which may have some off-the-shelf options. Certain high-end retailers also carry an array of Derby attire. Hats draw the most attention, but Derby Day is a chance to show off all of your summer finest. The Kentucky Derby has an official fashion guide for guests, and it’s a good inspiration even if you’re celebrating at home. Think spring dresses, pastel colors, seersucker suits, and brightly colored blazers. Derby Day is a chance to wear your wildest, loudest, most colorful formalwear without fear of judgment. Any horse race is just a little bit more exciting if you have some skin in the game. 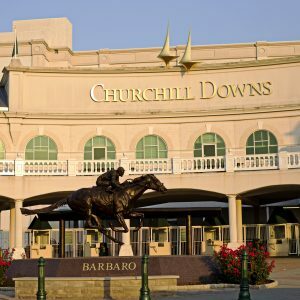 You can bet on the Derby legally, and you don’t have to go to Churchill Downs to do it. It’s easy to bet on the Kentucky Derby online through TwinSpires, the Derby’s official betting partner and a platform for betting on the horses all throughout the racing season. The service is available and legal in 30 states. If you’re interested in placing a bet, set up your account a few days in advance so you can fund it properly. Once it’s good to go, have at it—just put in your wagers before the Juleps start flowing, and don’t bet the farm. After all that prep, be sure you tune in to see the actual race. Post time is usually very specific, e.g. 6:50 p.m. Don’t dally—the Derby is called “the most exciting two minutes in sports” for a reason. If you tune in at 6:55, you’ll probably be too late. Check TV listings to ensure you get the right network. You can also watch through TwinSpires TV if you’re wagering on the races online. 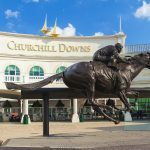 There will be coverage of the Kentucky Derby throughout the day, and in fact there are thirteen other horse races at Churchill Downs on the same day. But if you’re feeling nostalgic, it can also be interesting to watch videos of races past—like Secretariat winning the Triple Crown in 1973 or American Pharoah’s win in 2015. The Wall Street Journal even produced a video comparing Secretariat and American Pharoah’s Belmont Stakes wins side-by-side. After your Derby Day party is done, don’t hang up your spurs. It’s only a couple of weeks until the Preakness—and another good excuse to make yourself a Mint Julep. 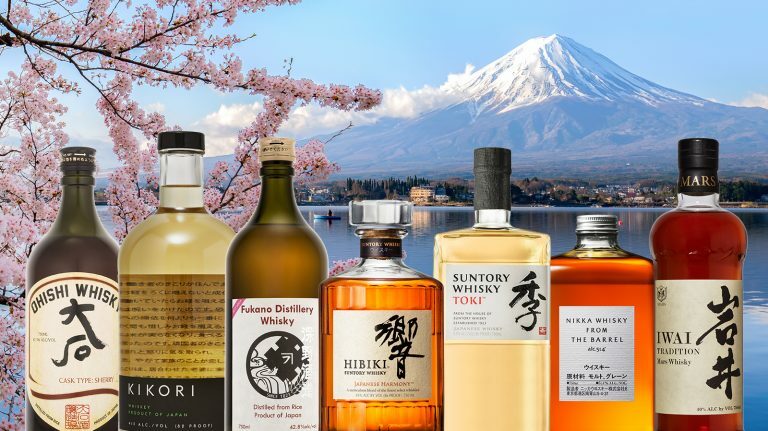 While older bottlings are hard to come by, these affordable and available whiskies showcase the best of Japan. 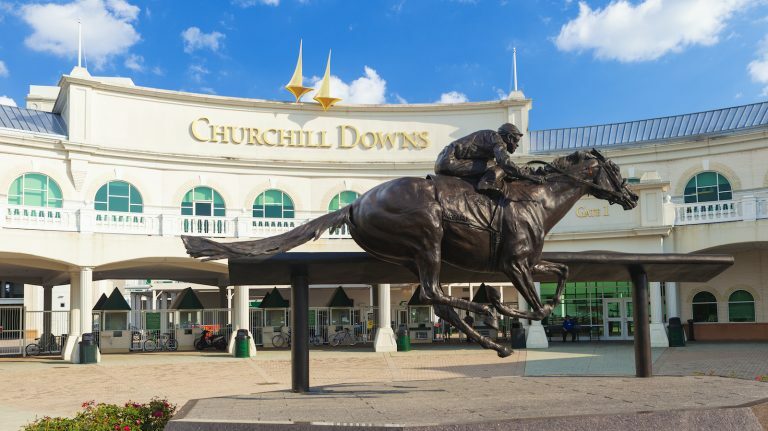 These tips and tricks will help you make the most out of your day at Churchill Downs. 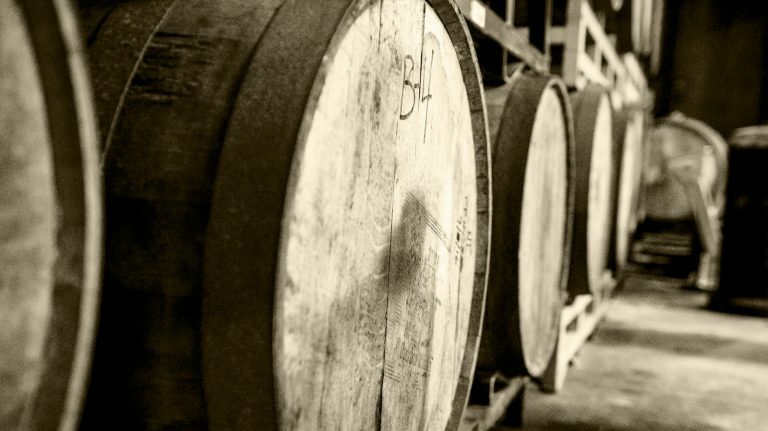 Can Bourbon Be Too Old? Pappy Van Winkle 23 is a benchmark for many, but not every whiskey tastes good after two decades in the barrel.